A Charming Role For Nesta! Nesta Chapman is filming a role on episode 102 of CW’s new reboot of “Charmed” an upcoming American fantasy drama television series developed by Jane the Virgin creator Jennie Urman along with Jessica O’Toole and Amy Rardin, who are listed as executive producers. It’s produced by CBS Television Studios, Propagate Content and The CW Network. The original series of the same name was created by Constance M. Burge and produced by Aaron Spelling and his production company Spelling Television, with Brad Kern serving as showrunner. The series was originally broadcast by The WB for eight seasons from October 7, 1998, until May 21, 2006. 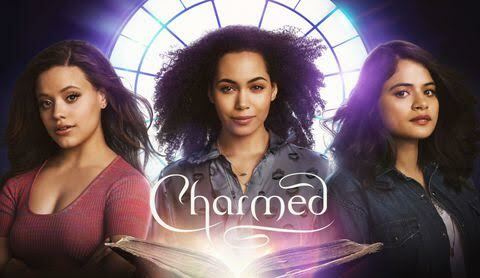 The new series follows the lives of three sisters Melanie “Mel” Vera (Melonie Diaz), Maggie Vera (Sarah Jeffery), and Macy Vaughn (Madeleine Mantock) who, after the death of their mother, discovered they are The Charmed Ones, the most powerful witches, and together they possess the “Power of Three”. Each sister has a magical power, which they use to help protect innocent lives from supernatural demons. This is a fierce, funny, feminist reboot of the original series .Between vanquishing supernatural demons, tearing down the patriarchy, and maintaining familial bonds, a witch’s work is never done. Charmed (2018) will debut on The CW on October 14, 2018.